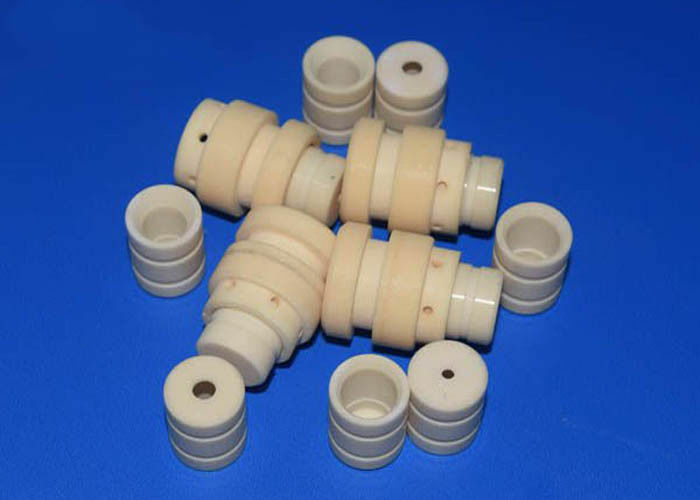 Ceramic Standoff Insulator Ideal for very high temperature conditions. Exceptional strength in compression and tension. Withstands very high voltage without flashover. Ceramic Standoff Insulator electrically help to isolate components from one another. For instance, you can isolate one sample holder from another sample holder . Available in standard screw sizes. Made from 99.7%+ Al2O3(alumina), these non-porous washers are fully vacuum compatible and bakable to over 400oC. Can't find the exact size or shape you need? Please fill out our Custom Size Quote Form or call us at 0086 15988537579. We welcome custom product and fabrication projects. Ceramic Standoff Insulator is an electrical insulator but has relatively high thermal conductivity (35 W/m K). In its most commonly occurring crystalline form, called corundum or a-aluminium oxide, its hardness makes it suitable for use as an abrasive and as a component in cutting tools. Aluminium oxide is responsible for metallic aluminium's resistance to weathering. Metallic aluminium is very reactive with atmospheric oxygen, and a thin passivation layer of alumina quickly forms on any exposed aluminium surface. This layer protects the metal from further oxidation. The thickness and properties of this oxide layer can be enhanced using a process called anodising. A number of alloys, such as aluminium bronzes, exploit this property by including a proportion of aluminium in the alloy to enhance corrosion resistance. The alumina generated by anodising is typically amorphous, but discharge assisted oxidation processes such as plasma electrolytic oxidation result in a significant proportion of crystalline alumina in the coating, enhancing its hardness. Alumina's combination of hardness, high temperature operation and good electrical insulation makes it useful for a wide range of applications. Alumina is the most commonly used type of ceramic and is available in purities up to 99.99%. Its high free energy of formation makes alumina chemically stable and refractory, and hence it finds uses in containment of aggressive and high temperature environments. The high hardness of alumina imparts wear and abrasion resistance and hence it is used in diverse applications such as wear resistant linings for pipes and vessels, pump and faucet seals, thread and wire guides etc. High purity aluminas are also used as orthopaedic implants particularly in hip replacement surgery. The high “hot” hardness of alumina have led to applications as tool tips for metal cutting (though in this instance alumina matrix composites with even higher properties are more common) and abrasives. Alumina is used as milling media in a wide range of particle size reduction processes. The high dielectric constant coupled with low dielectric loss particularly at high frequencies leads to a number of microwave applications including windows for high power devices and waveguides.